Deep red festive leaves and a December/January flowering period make Poinsettia’s one of the most popular houseplants when Christmas comes around. Poinsettias are often disposed of when the Christmas decorations come down and New Year’s resolutions take hold, but a few simple tips can keep them thriving throughout the festivities and help extend their lifespan to have them ready to flower again the following year. Temperature – As tropical plants are originally from Mexico, poinsettias enjoy climates that remind them of home. Minimum temperatures they can withstand are 13 to 15 degrees Celsius, ideally they like it around 18 degrees, so living rooms with central heating are ideal. Be sure to avoid draughts such as window sills and fire places. Where to buy – Supermarkets will be full of poinsettias and, whilst many do take excellent care of their plants, make sure that yours has had a lot of TLC before you buy it. If the plant has been stored in the cold before purchase, it will soon wilt, and it is unlikely that it will recover. If exposed to the cold, even briefly, damage will be done so be mindful when transporting it home, too. Watering – It is very easy to overwater a poinsettia. Some of the most common problems are linked with watering as both over and under watering can lead to yellow dropping leaves instead of their usual velvety red. 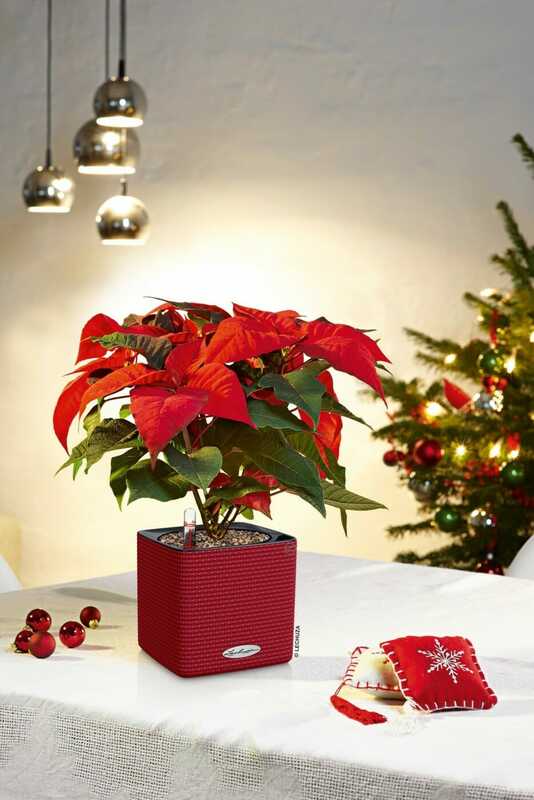 The ideal solution for this, which guarantees your poinsettias are in safe hands for the entire festive period, is to use a self-watering planter. 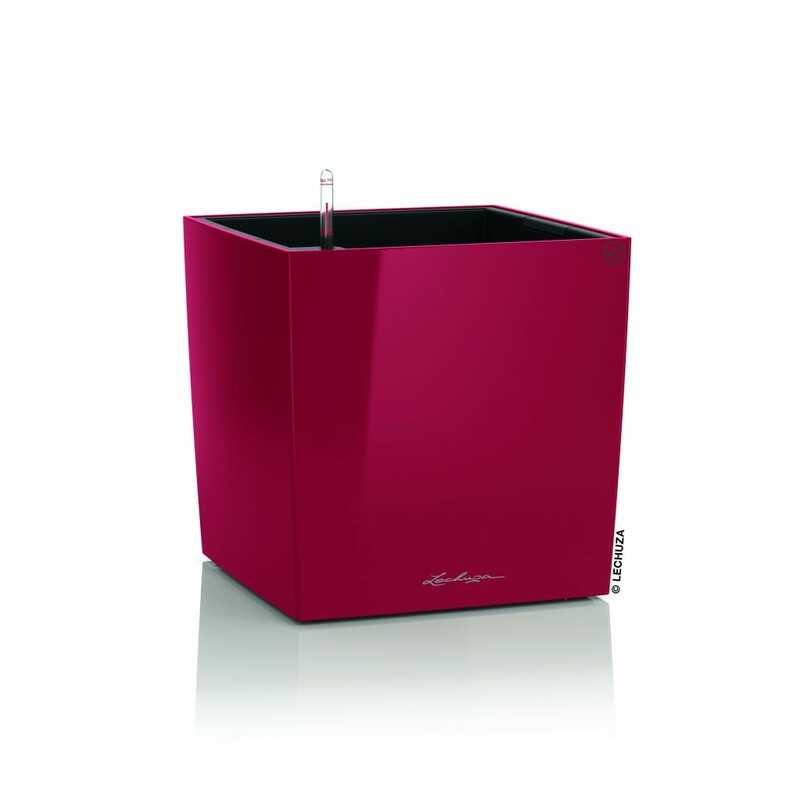 Lechuza self-watering planters offer a stylish and convenient means of watering. With a water reservoir at the bottom of each planter, the unique sub-irrigation system provides plants with the exact amount of water they need for optimum growth for up to 12 weeks, so they can be left to thrive on their own without the need for watering and the worry of over, or under watering. Decorating – Whilst poinsettias make a beautiful stand alone feature, there are many more festive uses for them. They make a stunning garland weaving up a staircase and around bannisters; or add a traditional touch of class to the Christmas tree with some poinsettia flowers nestled among the branches. They also make for eye-catching wreaths and add a great centre piece on the Christmas dinner table. To ensure it survives until next year, cut it back in April and repot in May. Then, throughout the summer, keep it in a cool and light place. When November comes around, it is time to start forcing the plant – it will require 12 hours of bright daylight followed by 12 hours of complete darkness to alert it to the shorter days of winter, which will encourage the red flowers to flourish. 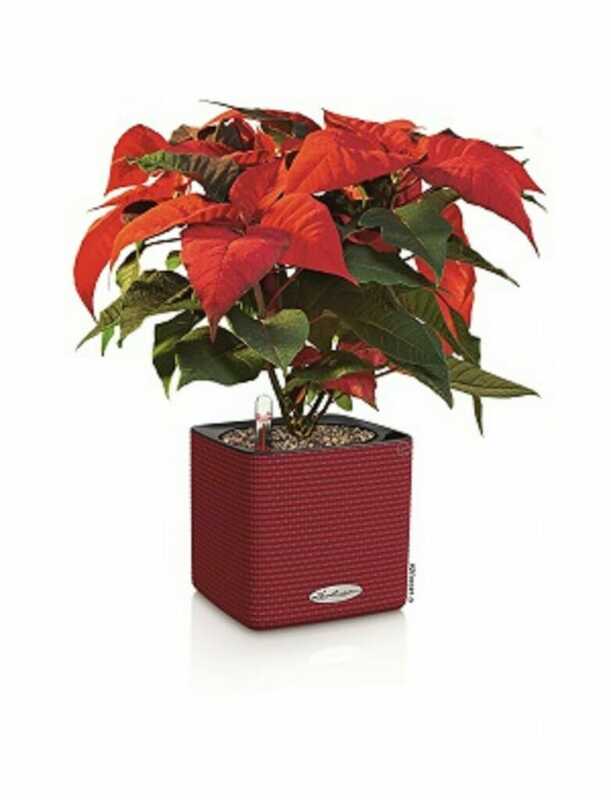 The Lechuza CUBE range is ideal for poinsettias, particularly the CUBE Color in Scarlet, for a complementary colour scheme. These stylish pots are available in two sizes and feature the unique Lechuza wick watering system – simply place the wick into the pot, place the pot in the CUBE Color planter and leave! For more information or to purchase a LECHUZA product visit www.lechuza.co.uk, or find Lechuza on Instagram via Lechuza.world or visit on YouTube.